Leupold LCO Review : Should you buy this high end red dot sight? Leupold LCO Review : Should you buy this high end red dot sight from Leupold? Leupold LCO (Leupold Carbine Optic) is a high grade reflex sight priced around $700 from Leupold. 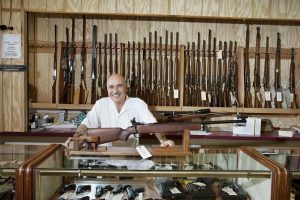 It has been favorably used by a number of law enforcement officers and would do well in home defense situation where you depend your family and your life on. But is LCO the best deal in its class or is there a better red dot? Worry not, I’ll tell you all there is to know about this optics so you can make informed decision whether Leupold LCO is the right optic for you. Compared to Aimpoint Micro T-2, Leupold LCO has better FOV and faster dot picking up speed, due to larger glass.Furthermore, LCO has 1 MOA dot and is better for precision work. That said, the LCO is less rugged and is more prone to parallax errors. Lastly the LCO is slightly cheaper at the time of this writing. Compared to EOTech EXPS3 the LCO’s reticle doesn’t have the 68 MOA ring, which makes it harder for me to pick up the small 1 MOA dot. LCO’s parallax error is significantly more as the EXPS3 is a true holographic sight, but LCO’s battery life is significantly better. Leupold LCO is also not tainted with the thermal drift issue. The EXPS3 is cheaper at the time of this writing. Leupold is a 5 generations, family-owned, well-known American optics manufacturer since 1907. 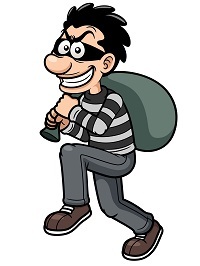 Its products are used by organizations such as the United States Army, the Secret Service and the Navy SEALS. The Israel Defense Forces also use Mark 4 and Mark 6 Leupold scopes in their army. What are the PROS and CONS of Leupold LCO? With its housing profile, 1 MOA dot and high MSRP price, my initial thought assumed the LCO as a holographic sight. But after inspection, I found that this is not the case as the LCO operates with LED and is a reflex sight. Being a reflex sight, the LCO doesn’t suffer from limited battery life similar to EOTech products. But parallax error will still be present and, as is the nature of reflex sights, will have some curvature in its glass, resulting in slight distortion unlike to holographic sight’s flat pane glass. My recommendation? 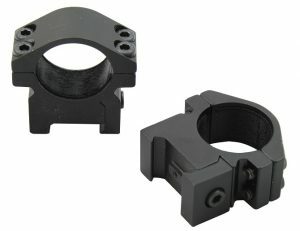 Get this Leupold LCO if you want Aimpoint style red dot but is looking for a bigger FOV glass. Best for : Shooters who value big FOV glass and 1 MOA dot reflex sight. Since no optics nor products exists in isolation. And words such as “crisp” and “great” dot don’t really mean much when you have no benchmarks. I’ll be comparing the LCO with other red dot sights in similar price range, so you know what’s the best option for your money. Read on to find out why the LCO, even though impressive, isn’t a perfect red dot sight. These are 2 popular options in the market with similar price point and should give you a realistic feel of how good Leupold LCO really is. Compared with Aimpoint Micro T-2, I found Leupold LCO to have better field of view as its glass is bigger, and has less tube effect. Reticle crispness and glass clarity is very close between the 2 optics, and I couldn’t quite put a finger on who’s better as both perform exceptionally well. Note that the 1 MOA dot is obviously smaller and better for precision work. Compared to EXPS3, the LCO has a crisper dot and clearer glass for my eyes, even though holographic sights are supposed to have less distortion in their glass. That said, the 68 MOA ring does help me in acquiring the 1 MOA dot faster and it is more suitable in close range shots. All 3 optics are daylight bright and can easily be seen on bright sunny days. Furthermore they are night vision compatible. 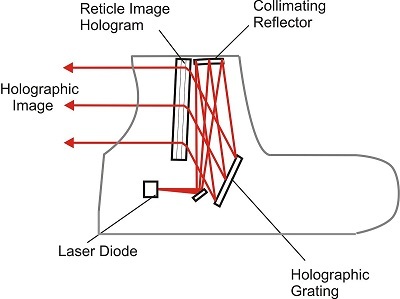 Holographic sights use laser diode, instead of LEDs, causing battery consumption to be much higher than reflex sights. First of all, nothing is going to beat the super reliable, 50,000 hours, “always on” battery of Aimpoint Micro T-2. But my LCO works fine for 2 and a half years on a single battery. Note that this 2.5 number is not such an absolute number as the LCO has 15 minutes sleep mode when idle and motion activated feature that works well, thus the expected battery life depends a lot on your usage frequency, unlike the T-2. Holographic Sights utilise laser emitter rather than LED and generally consumes much more energy with similar light output. With this different fundamentals, the EXPS3 can’t compete with the other 2 optics in terms of battery longevity. It’s expected battery life is only 600 hours. Even though LCO’s battery life number is equal to T-2, the LCO number is based on expected usage, while Aimpoint T-2 number is based on always on usage. Thus Aimpoint T-2 is better in terms of battery life. 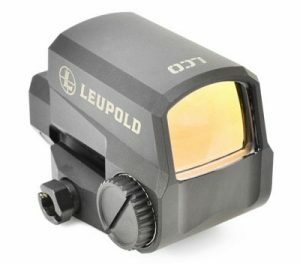 You control Leupold LCO’s brightness with its rotary dial on the left hand side of the optics. Some people prefer this citing more durability. When the red dot is activated by its motion sensors, the red dot retain its last brightness settings. Both the T-2 and the EXPS3 also have rotary dials to control their brightness settings on the side of their housing. Reflex sights are known for their ability to mitigate parallax errors, making it ideal for shots with of angle or very fast draw and target acquisition. 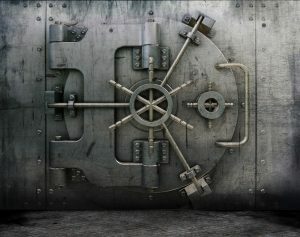 For detailed parallax test data, check out Greeneye Tactical website here. However, Leupold LCO performed significantly worse in a parallax test conducted by greeneye tactical. It is significantly worse than the T-2 and EXPS3. If you’re serious about parallax error, a holographic sight such as the EXPS3 will perform best as it uses different underlying technology than reflex sights and give less parallax error. The LCO is lighter and more compact than the EXPS3 while having the largest viewing glass and FOV. 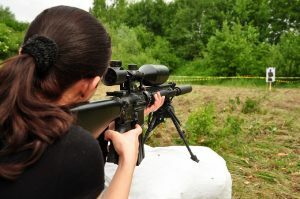 Average home defense shooting distance is around 7-10 yards. Leupold LCO durability and reliability is very good, as the optic is used as an EOTech replacement for many law enforcements and military officers. 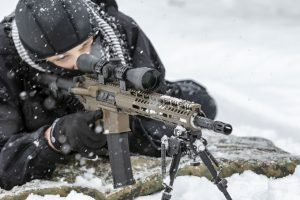 However its operating temperature range, -20°F to +120°F, is less than that of Aimpoint T-2 of -49°F to +160°F. Housing length extension to protect the lenses is also less. 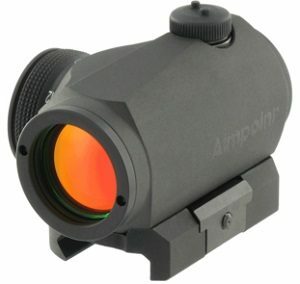 Furthermore , the LCO doesn’t have as much proven track record compared to Aimpoint Micro T-2. Holographic sights such as the EXPS3 can’t be built as rugged as the Micro T-2. But apart from the thermal drift issue, EOTech EXPS3 is a battle-proven optic in terms of durability. I personally have a great run with all 3 optics and have experienced no durability issue.